Culmore Organically Reared Beef is the raw ingredient in this super South-African inspired meaty snack. Originally designed as a portable preserve for bushmen, it is now made in Northern Ireland by couple Ilse van Staden, a qualified chef, butcher and rugby player from Pretoria and Alanagh Chipperfield. What started in 2012 has become a huge success story even featuring on Tom Kerridge’s Top of the Shop programme for BBC. 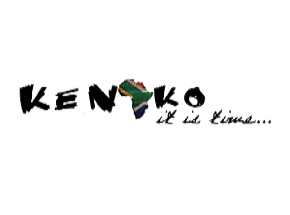 Ke Nako means “It’s Time” in Tswana, one of South Africa’s official languages; time for Northern Ireland to have its own dried cured meat products made with 100 per cent organically reared beef from Culmore Farm in Co. Antrim. They are made at Ballylagan Organic Farm in Straid, Co. Antrim. They include Biltong, Chilli Bites, Droewors- a type of sausage made from ground beef in a lamb casing as well as Stokkies- a highly addictive protein snack. Order from their mobile app. Farm shops, delis, markets, events, online.